Welcome to Day 998 of our Wisdom-Trek, and thank you for joining me. Thank you for joining us for our five days per week wisdom and legacy building podcast. We are broadcasting from our studio at The Big House in Marietta, Ohio. This is Day 998 of our trek, and it is time for our Philosophy Friday series. Each Friday we ponder some of the basic truths and mysteries of life and how they impact us in creating our living legacy. 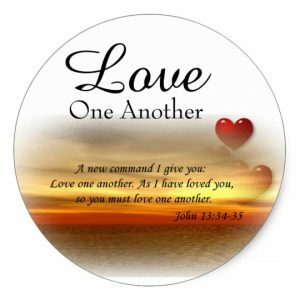 Understanding ourselves and how others may interpret life through their paradigm allows us to interact with each other with more love and compassion. This can be achieved by utilizing a profound tool call “The Enneagram.” The tool that we refer to as the Enneagram (Any-a-Gram) is a circle with nine interconnected points (Ennea refers to 9 and Gram refers to a drawing). Check out today’s or prior week’s Wisdom Journal for a representation of it. I have also included a copy of “The Enneagram At-A-Glance,” which was compiled by Suzanne H. Eller, in today’s Wisdom Journal. If you would like a PDF copy, click on the link in today’s Wisdom Journal located on our website Wisdom-Trek.com. I would also recommend the book “The Road Back to You” written by Ian Morgan Cron and Suzanne Stabile. It is an excellent book about an enneagram journey to self-discovery from a Christian perspective. We have concluded our deep dive into the nine types which are “The Reformer,” “The Helper,” “The Achiever,” “The Individualist,” “The Investigator,” “The Loyalist,” “The Enthusiast,” “The Challenger,” and “The Peacemaker.” Starting this week, we begin a series of episodes on Type Combinations. What are the potential relationship benefits and issues with each combination? Covering all of the 45 different potential type combinations will take several weeks but will be valuable in understanding each other, regardless of what type you are and those with whom you interact each day. 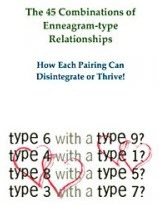 As with all double-type relationships, two Enneagram Ones bring the same general qualities to each other. Therein lies both a main source of the attraction as well as one of the main pitfalls of this pair. Two Ones will be concerned with fairness, truthfulness, keeping agreements, schedules, consistency, and treating the other with respect and dignity. Work and taking care of responsibilities will tend to come first, with play and pleasure taking a back seat for this couple. Vacations and leisure, partying and recreation will all be fitted in after the more important things are accomplished. Each will feel like (and take the role of) the adult in most situations, making for a highly competent, rational approach to life and problem-solving. In their dealings with each other (as well as with family and friends), two Ones will want to be objective and reasonable, fair and truthful above all else—and will seek these qualities in others. They create an atmosphere of clarity and precision in which their own interactions with each other (and with friends and family) feel clean—not sticky or sentimental or loaded with unspoken ulterior motives. A double One pairing often is created and sustained by shared ideals as well as the desire to put those ideals into practice. Both Ones are typically people who have solid convictions that they enjoy talking about, often with noteworthy articulateness and passion. They also typically have a certain strength of character and a degree of wisdom—which they both admire in the other. They could not bear being in a relationship with someone they did not respect and whose character was not sterling. Ones bring their hard-earned wisdom to others, above all, by fighting for tolerance, dignity, and rights of everyone. Both Ones are governed by a strong sense of right and wrong as well as a sense of responsibility, giving them a feeling of self-restraint and a tendency to feel responsible—both for themselves and for everything else in their lives, including the quality of the relationship itself. There can be a noticeable tone of formality in this combination with a reluctance to say or do anything that would be undignified or out of keeping with their sense of propriety and appropriateness. They will have little tolerance for sloppiness, error, or whatever they define as childish behavior in anyone. Irritation and condescending sarcasm are how they express anger with each other, occasionally exploding into a litany of long-standing grievances that have been loaded in their mental account books. Easily frustrated by mistakes or lapses in themselves, they are equally aware of short-comings in each other. Average Ones can begin to make the other into a perpetual, unfinished improvement project, although two Ones may well find it too uncomfortable to treat each other this way. They may strike an unspoken deal with each other in which their main criticisms are directed toward others or toward social problems instead. They may bond with each other by becoming indignant about issues and the errors and foolishness of others. They may thus climb atop Olympus together and look down on the world from their privileged, condescending vantage point. Depending on their Level of health, double One couples tend to find few people who measure up to their high standards, with the result that there are fewer social interactions and increasing self-imposed isolation. Some eccentricity and strange habits (both personally and as a couple) can result as they withdraw more completely from most human connections. Two Ones can begin to feel that they are all the world they need, but it can begin to be a cold, unforgiving world as they also begin to barely tolerate each other. Enneagram Ones and Twos are a complementary couple since both offer the other the example of their own qualities. Both types are highly dutiful and are attracted to service roles and occupations: both may be teachers, ministers, or health care workers who have long hours and many responsibilities. One and Two couples are often professionals whose work takes them out of the house and requires the focus of their attention to be on the needs of others, not on the relationship itself or even on themselves personally. 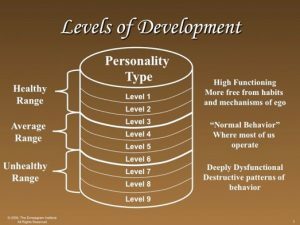 People in this kind of relationship are often unusually mature and independent and able to obtain their emotional needs from a variety of people and connections, including their professional ones. They bring high ideals, strong ethical standards, and the desire to serve others to the relationship itself, keeping the relationship strong and in touch with solid values and practical perspectives. The relationship is built around shared values: both are on a path of some kind together. Twos bring the nurturing and feelings that Ones do not easily allow themselves; they help Ones soften and relax. On the other hand, Ones bring integrity, conscientiousness, responsibility, and consistency. They are steady, reliable, and truthful. Ones commit strongly, which makes the Two feel secure and that they won’t be abandoned. Further, Twos bring warmth, a concern with people and a willingness to make exceptions to the rule for individuals in need. They are aware of suffering and work hard and generously to alleviate it wherever they can. Twos are more convivial and welcoming than Ones and can warm up the One’s more typically reserved exterior, which most Ones are glad to have happen. For as concerned about the needs of others as Ones and Twos are, ironically, they tend not to be very aware of their own needs or able to express them easily. Ones feel that life is serious business and that work must always come before play; the lower impulses of the self must be held tightly in check. Twos feel that they must take care of everyone else’s needs before they are allowed to have needs themselves. Life is about serving others and making themselves useful so that others will need them and want them in their lives. Both Ones and Twos, therefore, find it difficult to talk about what they are actually feeling, what is actually going on in the relationship, and what they actually want. In this kind of relationship, there are often ulterior motives and unstated agendas, with no one able to admit that they are not getting what they want—much less that they might not be happy or fulfilled. For both, getting what they want feels selfish and forbidden. Ones can begin to feel disappointed by the Two’s tendency to give so much of themselves to others and to be so unregulated regarding time and attention. Twos can seem to Ones to be everywhere else, serving on yet another committee or charitable group, but in the home or at their job, fulfilling their primary responsibilities. On the other hand, Twos can see Ones as too impersonal and unconcerned with others, not sympathetic or charitable enough. They can begin to be disappointed in the reality of the One’s idealism, thinking that Ones may love humanity but have little real compassion for real people. Ones can be uncomfortable with the Two’s effusiveness and need for contact; Twos can be uncomfortable with the One’s sarcasm and irritability. Both will simmer with anger that will slowly but inexorably, lead to escalating arguments. Both can begin to become condemnatory and critical of the other as the relationship drifts apart. 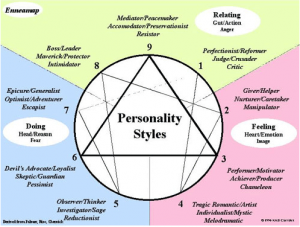 Enneagram Ones and Threes are both competent, serious-minded, and idealistic. This is a highly task-oriented relationship, with both partners driven to hard work and intensely aware when, individually and collectively, they are not measuring up to their own expectations and high standards. Both parties can bring selflessness, self-discipline, good work habits, and the ability to put aside their personal feelings for the sake of the objective good that needs to be done. Both types are used to working so hard that they often succeed, garnering admiration from those around them and attaining places of leadership and responsibility. The One and Three combination can be dazzlingly accomplished, high energy, extraordinarily competent, and impressive—both individually and collectively. They both strive after excellence, both as an ideal and as something to personally embody. Sometimes they succeed so well that this pairing virtually glows with self-confidence and the thrill of their own talents. They strive to make each other proud of them—someone the other can look up to and show off to his or her friends and family. They enjoy planning and organizing their lives, dividing up responsibilities after seeing who is objectively better at which tasks. Both thrive on respect and give each other personal space. There are only two other equally goal-oriented pairings, a One with One combination and a Three with Three pairing, although since these both are same type pairings, they typically have blind spots that these combinations need to be aware of. Because the One/Three is a mixed pair, this produces a powerful coalition that is capable of dealing both with ideals and with practical matters. They will try to solve problems in the relationship by discussing the issues involved since neither likes emotionally charged bickering or unresolved issues. Ones help Threes to be more grounded and realistic; Threes help Ones stretch themselves and not be so perfectionistic. They are both industrious and persistent, efficient and concerned with excellence and with making a real difference in the world. If this relationship gets into trouble, it is often over time commitments, lack of emotional attachment to each other, and a creeping sense of competition. Further, Ones tend to find Threes too workaholic, pragmatic, and too concerned with image and their reputations rather than with principle. Ones can see Threes as tending to cut corners in ethical matters, willing to exaggerate or fudge the truth in order to achieve whatever they are after. They can also become critical of Threes if they change their goals pragmatically, dropping efforts or switching positions when something does not work for them. Ones may also have issues with Threes attempting to reinterpret ethical questions and with not owning up to their personal behavior, including their behavior regarding fidelity in the relationship itself. Join us again next Friday as we further explore the Enneagram on our “Ask Gramps” episode as we continue to explore type combinations and how best to maintain meaningful and productive relationships with each other. The information that we discover will allow us to unlock who we are as we travel on our trek of life and discover more about ourselves and others as we impact God’s kingdom. I know you will find these insights interesting, practical, and profitable in living a rich and satisfying life. Our next trek is Mediation Monday when we will help you reflect on what is most important in life. So encourage your friends and family to join us and then come along on Monday for another day of our Wisdom-Trek, Creating a Legacy. If you would like to listen to any of the past 997 daily treks or read the associated journals, they are all available at Wisdom-Trek.com. I encourage you to subscribe to Apple Podcast or Google Play so that each day’s trek will be downloaded automatically.